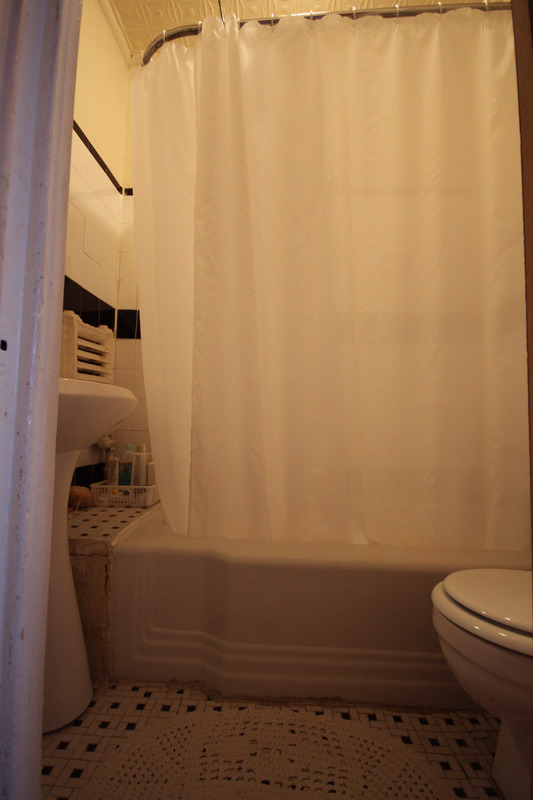 Bathrooms in brownstones are notoriously tiny, and our micro-bathroom is no exception. Coming in at a spacious 52 inches by 64 inches, it features a full size tub, a pedestal sink, a toilet and no standing room to speak of. The space is so small there is no room for a toilet paper holder, and any miscalculation while approaching the toilet will land you in the tub or out in the hallway. Yes, it’s that tiny. There are some features I really like: the tin ceiling and the air shaft window. Currently everything is caked up in gobs of beige paint. We’re working on freeing up the window, which will add much needed ventilation, and perhaps stop the tin ceiling from rusting. Eventually we plan on turning this space into our master closet – sometime in the distant future. In the mean time, this is where we shower. There is a room exactly the same size directly below our micro bathroom. 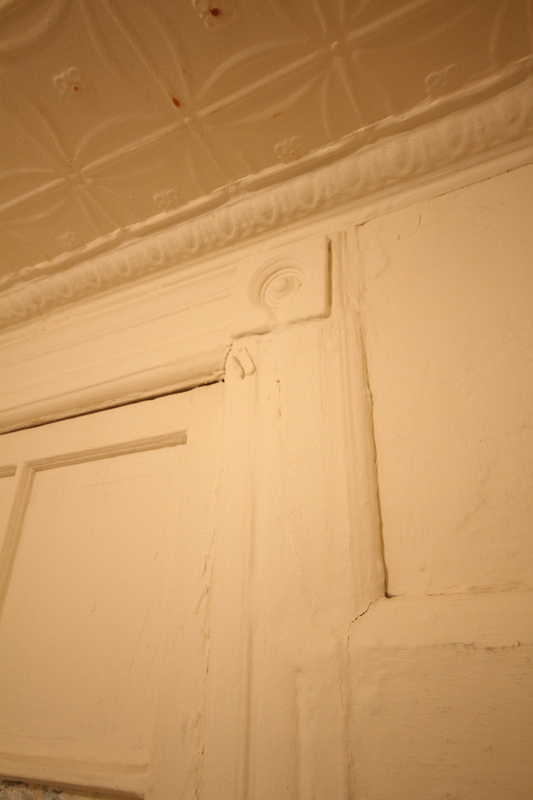 The previous owners had turned it into a closet, keeping the tile and soapdish intact. We tore it out and will be turning it into a powder room in the not so distant future.